Metabo hedge trimmers have always set standards in safety, performance and reliability for the professional. The same is true of their new range of hedge trimmers. 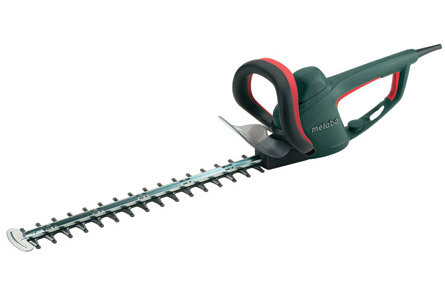 These new hedge trimmers offer unique advantages; the devices are even lighter and smaller to bring clean cutting performance more compactly to the hedge. They include the patented Metabo handle system providing up to 50% more reach, robust motors, double diamond ground blade and superior ergonomics. For added protection; the safety clutch protects the user and machine from sudden kickbaks if the blades become obstructed by wire, etc. and when any one of two switch elements are released the Quick Stop activates in 0.05 sec. It is easy to see why Metabo hedge trimmers remain what they have always been: the first choice for professional users.